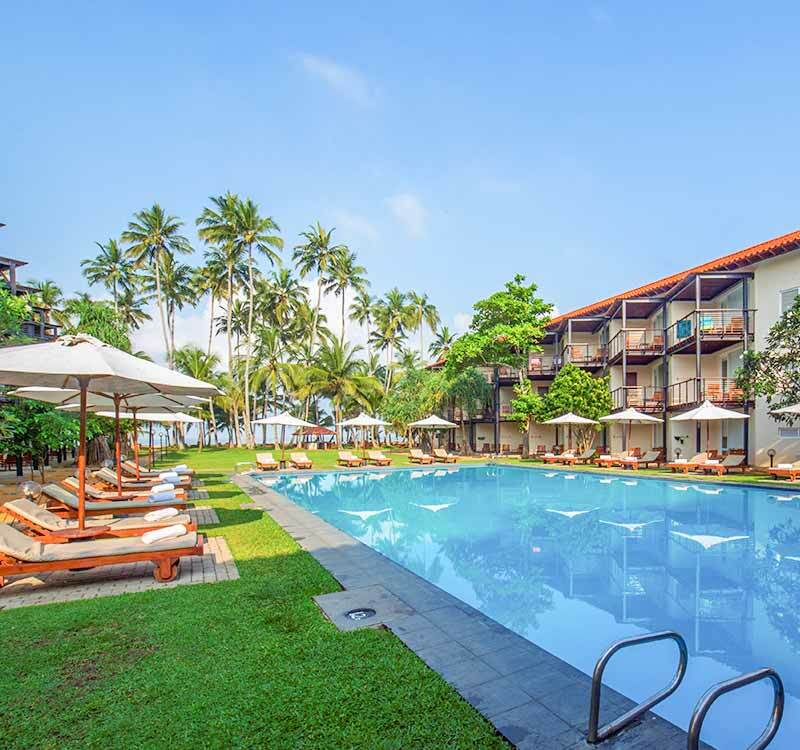 Escape to our all-inclusive tropical resort, nestled in the historic coastal village of Kalutara, on the sunny Southern coastline of Sri Lanka. 54 vibrant spaces designed with the tropical colours of our island home. 9 panoramic rooms positioned directly in front of the Indian Ocean. 9 spacious escapes, ideal for families and larger groups who want a view of our Southern seas. Our highest category of rooms consists of 9 secluded spaces, tucked away in a coastal grove with the best views of the Indian Ocean.